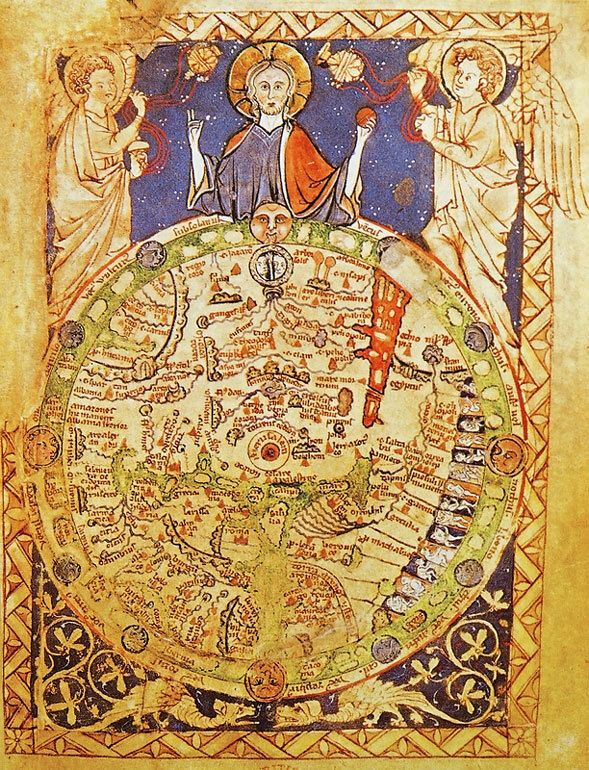 T-O maps are a type of mappaemundi that was created during the Middle Ages. It only shows three continents, Asia, Europe, and Africa. This map shows only the reachable sides of the round Earth, since they thought no one would dare to cross the lines into other locations. In this map, Asia is located in the top half, and the bottom half is divided in half with Europe on the bottom left and Africa on the bottom right. The Mediterranean Sea is separating Europe and Africa and the Red Sea is separating Asia from Africa.